(The 100 best novels: No 50 – Mrs Dalloway by Virginia Woolf 1925 | Books | theguardian.com. The 1910 Dreadnought hoax (Photo credit: Wikipedia). 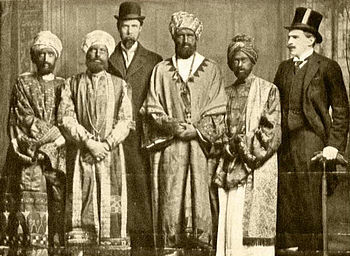 Woolf (with a beard on the left hand side of the photo) and some of her friends fooled the navy into believing that they were a group of visiting Abyssinian dignitaries.